On It's Way To Your Inbox Right Now! You're about to discover one of the worlds most flexible ways to colour, refresh and rejuvenate 100,000s of materials and objects. 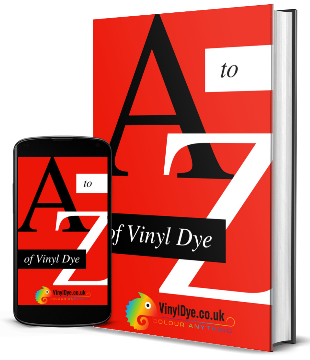 Part 1 is all about answering the most common questions people have about our Vinyl Dye Sprays and how they relate to projects you're interested in.